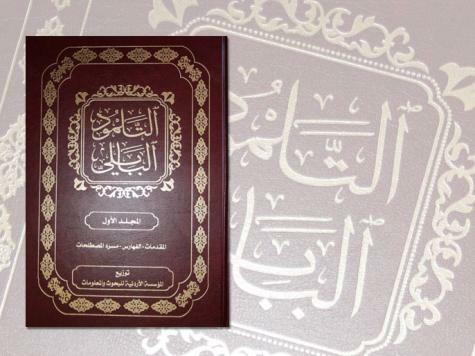 Update: The Anti-Defamation League publicly criticized the translation and called on the Hashemite Kingdom of Jordan to take steps to correct the misleading anti-Semitic narratives in the introduction to the Arabic translation of the Talmud. A newly released Arabic translation of the Talmud – the first of its kind – contains an introduction that seeks to revive age-old anti-Semitic conspiracies about the Talmud, including the accusation that the ancient text reveals the racist character of the Jewish people. The introduction also attempts to paint Israel as the modern-day embodiment of the alleged racist ideologies found in the Talmud. Elsewhere in the introduction, the reader is informed that the Talmud claims that non-Jews are inhuman, may be tricked or cheated, that it is permissible to kill them, and so on. The conclusion of the introduction neatly merges the publishers’ anti-Semitic and anti-Israel proclivities: “The Talmudic heritage has a significant impact on the formulation of Jewish identity based on holy [principles of] racial isolation…It [the Talmud] also established the extreme positions that advocate hatred toward non-Jews, the violation of their rights and looting of their lands and property.” The publisher then refers to the Zionist movement’s alleged “crimes” against the Palestinian people as an example of the Talmud’s validation of racist policies. MESC, established in 1991, is a Jordan-based political think tank that focuses on the Middle East and North Africa. The Center has a special unit on Israeli affairs, which monitors Israel, Zionist organizations and Hebrew-language media. MESC is highly critical of Israel, and organized a conference last year on the Palestinian unilateral declaration efforts to which they invited senior Muslim Brotherhood leaders as well as Hamas officials.